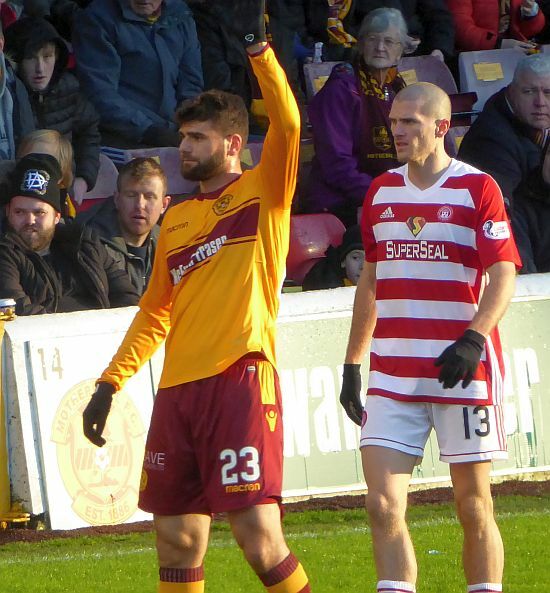 Fir Park was lifted on Saturday with a massive cup win over Hamilton which has done a lot to ease the accumulated nerves. There may well have been reasons for our poor run of form to end 2017 but regardless of why it happened, it was undeniably horrific. But not only are we now lifted, we have the chance to freshly define the rest of our season in the coming weeks. While the League Cup wins over Aberdeen and Rangers will naturally dominate the end of season highlight reel, it was the gritty win in the earlier round over Ross County - with 10 men - which first suggested this year's team had something. It was our first Scottish Cup tie win over top-flight opposition in six years - a remarkable statistic - and came in a game we seemed destined to throw away having led twice. Five months later our cup record against opponents from our league now reads played five, won four. Defining character in football is difficult but digging out victories in these do-or-die situations certainly speaks for it. The performance against Hamilton was hardly sensational but not only did it not need to be, it is not who we are. "We got back to what we’re very good at, we were physical and we were aggressive," manager Stephen Robinson said. "We got balls into the box and we had quality up top." It is no surprise that the Motherwell website chose that as the pull-out quote in a post-match article. At our level, the majority of goals do not come from attacking brilliance but defensive mistakes. The majority of wins do not come from attacking brilliance but defensive mistakes. In the same way our good run in autumn rarely featured us beating the opposition, more than the opposition beating themselves, we were giving away game after game towards the turn of the year. In August and September consecutive matches at home against County, Hearts and Kilmarnock were won to give us a gap to the relegation fight we have not yet completely lost. Our next home games are County, Partick, St Johnstone and Dundee, albeit with trips to Hearts and Hibs included. Losses in Edinburgh would be annoying but ultimately irrelevant if we can rediscover our home form. Even eight points, a relatively modest tally, from those four games at Fir Park would take us to 33 points with eight left to play. With 36/37 the usual watermark for safety, we could approach the remainder of the season with confidence and who knows what the cup might bring. At long last, the corner may have been turned.